Things really do happen in threes! I couldn't resist the siren song telling me to feature another magical treasury by Beth from Tabachin for the third week in a row. Her ocean gift ideas include real sea shell pendant by Creations Of True Fairy, sugar starfish earrings by Rubipotamus and my underwater mermaid art print. Thank you so much for the linky! I do enjoy stopping by every week. 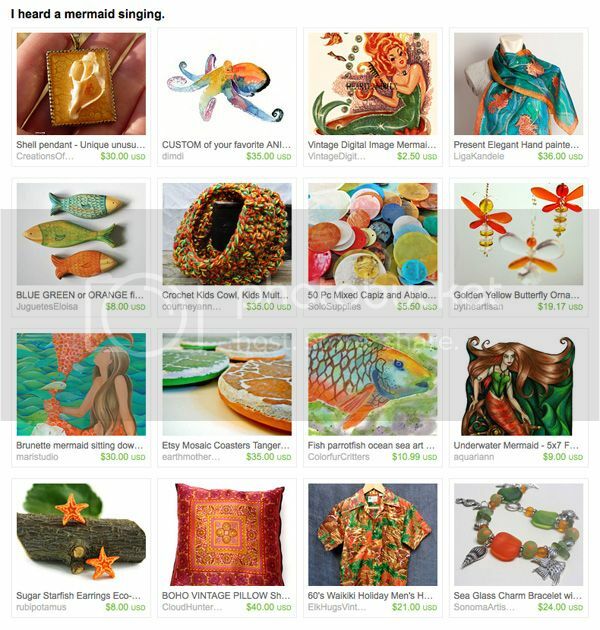 The featured treasury is spectacular! Love it! Great mermaidy picks! Beautiful. I love the inspiration!